Our delicious 100% Irish pork sausages are made to a recipe that has been passed down through six generations of the Salter family. We make a Traditional Pork sausage, as well as a succulent Pork & Apple and an Italian with Fennel adaptation of our family’s traditional recipe. These are now available to buy in store. We rear a variety of pigs, including many rare breeds, all of which are Bord Bia assured which means only the best quality pork for you and your family. Our Free Range Pork is available for supply all year round to restaurants, butchers and wholesalers. 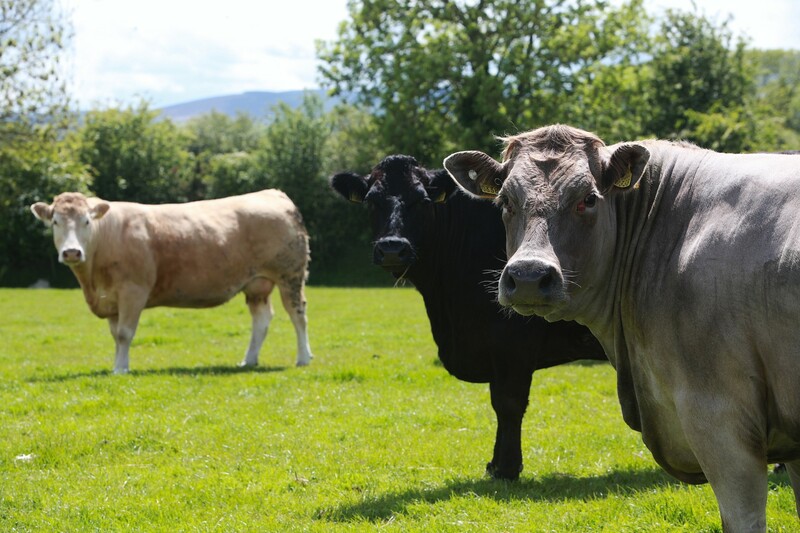 For more information, please speak to Thomas or Ola on 087 238 6051 or email us on info@saltersfarm.ie. In recent years the traditional Christmas Goose has been making a comeback as the centre piece of many Irish families’ celebrations. Salters Free Range Farm offers some of Ireland’s finest geese, prepared the traditional way – dry plucked and hung for 7 to 10 days allowing them to mature and develop natural flavours. 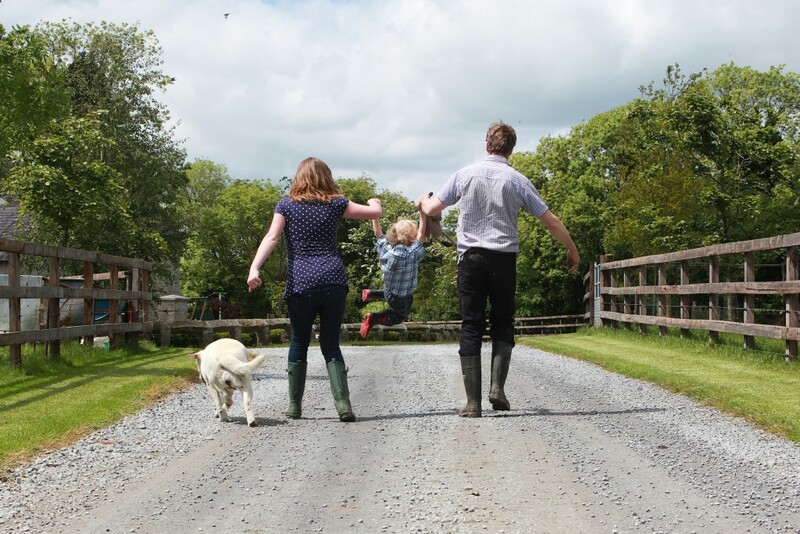 Salters Free Range Farm is a family owned business, operated by Ola and Thomas Salter. This historic farm, located in the heart of County Carlow, traces its origins back to the early 17th century. The original farmhouse has been home to members of the Salter Family since 1625. Thomas grew up on the farm surrounded by nature where he developed a keen interest in animal husbandry and farming. Unlike modern, intensive farms, the Salters have always farmed in a much more traditional way. Their farm was home to a wide range of animals including; pigs, cattle, sheep, geese, ducks, chickens, horses, donkeys and even a peacock. 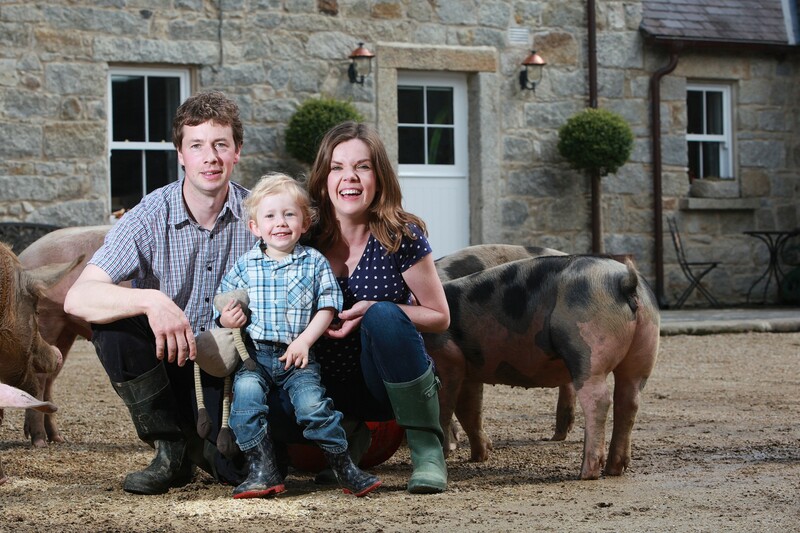 Thomas has been involved in pig rearing since he was a young boy when his father, George, bought him a red Tamworth sow at the Carlow Mart. The pig, who he named Dories, became more of a family pet and taught Thomas how to combine farming with a deep respect for animal welfare. Thomas met Ola, a native of Poland while she was working as an au-pair. The couple met at a wedding and married in 2010. They decided to rekindle the centuries old family traditions and bring the Salter Family Farm back to life. 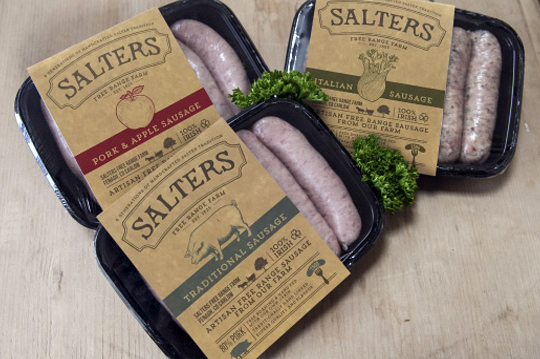 For six generations, the Salters have been making sausages on their family farm. As a child, Thomas grew up working with his uncle, blending spices and dry curing meat. Today a new generation of our family brings a taste of that age-old Irish culinary tradition to your family’s table with our 100% Irish, Free Range Pork Sausages, Christmas Geese and an expanding range of traditionally produced, free range products. 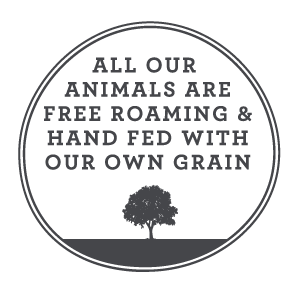 The Salter Family is passionate about ethical farming and animal welfare. We believe that every animal should be given the right to explore its own natural environment and live a happy and healthy life as close to nature as possible. Our pigs are free to roam outdoors and they can find shelter in warm, straw bedded huts. We ensure that they always have access to fresh vegetation and feed them grain grown right here on our own farm, ensuring high quality and full traceability. 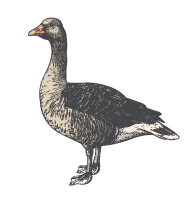 Our geese are raised on the farm from 1 day old and are fully free-range. They have access to a wide range of vegetation and a very natural environment, ensuring they have a stress-free life. Find the stockist closest to you! Whether it’s a question, feedback or you just want to say hello, we’d love to hear from you. Feel free to pick up the phone or drop us an email. Alternatively, you can fill out the form below and we will get back to you as soon as possible.